Leave a message for Oscar using the form fields below. If you have any questions, please contact us at (212) 269-7800. For general inquiries, email compliance@ingalls.net. Oscar S. Pollock is a Director and portfolio manager. Oscar manages accounts with a focus on established, large capitalization companies. Oscar is a Phillips Exeter Academy graduate and received a B.A. from Harvard College. He has worked at Ingalls & Snyder for over thirty-eight years, and he became a Director of the firm in 1974. 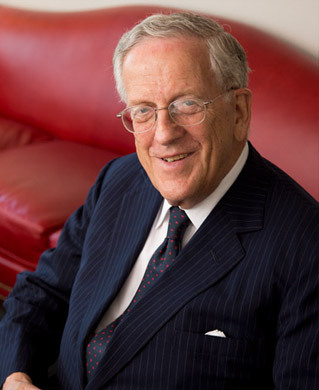 Throughout his career, Oscar has actively sought to advance the interests of individual investors, believing that they play an essential role in the U.S. economy. His research and newspaper editorials have been cited to support a number of significant federal tax changes that have arguably been critical for investors and for economic growth. In addition, Oscar is also Chairman and Co-Founder of The Bridge Fund of New York, Inc., a private charitable program dedicated to preventing homelessness among the working poor. Oscar and his wife reside in New York City.